OK, I admit it, I use Google more often than I use Yahoo but when Google fails to deliver the results that I’m searching for where else to turn if it isn’t to Yahoo Search? I was searching for information on an IP address that was generating a lot of traffic on the network I’m using. I thought that all this traffic going to and coming from a single IP can’t be normal and probably other people have encountered the same problem. I faithfully typed the IP in the Google search box and hit enter only to have Google tell me that it found no results. So I went to Yahoo, even more faithful that I will find what I’m looking for. Then it happened, while Yahoo had no web page containing the IP address it did suggest that I try to visit the website directly, warning me that the site might not exist. So I clicked on the link and Voila! It’s a site I know very well, except that I never knew its IP address. Why couldn’t Google have told me that? 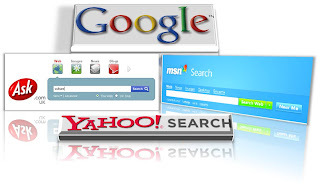 Because Yahoo search is the best! Kind of. At least Yahoo seems to often have a better understanding of what people are looking for. This entry was posted in Google, Yahoo Search by admin. Bookmark the permalink.